"But the Kempton form is there in the book and if he returns to that level here, then he will take a lot of beating at these weights." It is pretty surprising how many trainers aren't willing to risk their horses on good ground at Ascot and Wetherby on Saturday - and watered, good ground, too - and the resulting small fields make digging out bets that much harder. So we may as well take the action in chronological order, starting at Ascot and with the 2m3f novices' handicap chase at 13:50 where it doesn't surprise me in the slightest to see Wenyerreadyfreddie head the betting. I quite liked the look of Larry on his chasing debut off a mark of 129, from the stable that won this race with the classy Benatar last season, but I think Nicky Henderson's horse will take a fair bit of beating off just a 1lb higher mark. The handicapper hasn't raised him for his second to Lil Rockerfeller at Uttoxeter in a Beginners Chase, and that looks pretty generous to me. Okay, the winner rather fell in when following up at Cheltenham next time, but they pulled 15 lengths clear of a 139-rated novice hurdler at Uttoxeter in De Rasher Counter, so Henderson wouldn't have been complaining. I think he is a fair price around 5/2, though I won't put him up as a bet. Garde La Victoire was pulled out early on Friday afternoon, so we now only have five runners in the 2m1f handicap chase at 14:25. He was around a 3/1 chance before he was withdrawn, and he was actually the one that I fancied most, so when he disappeared from the contest so did much of my interest. So I may as well move on swiftly. I really don't like playing at the top of the market but I do think Magic Dancer is worth a small interest at [6.0] or bigger in the 1m7f152yd handicap hurdle at 15:00. I am worried about a few in here, not least Simply The Betts and Divin Bere, but Magic Dancer does look very solid. 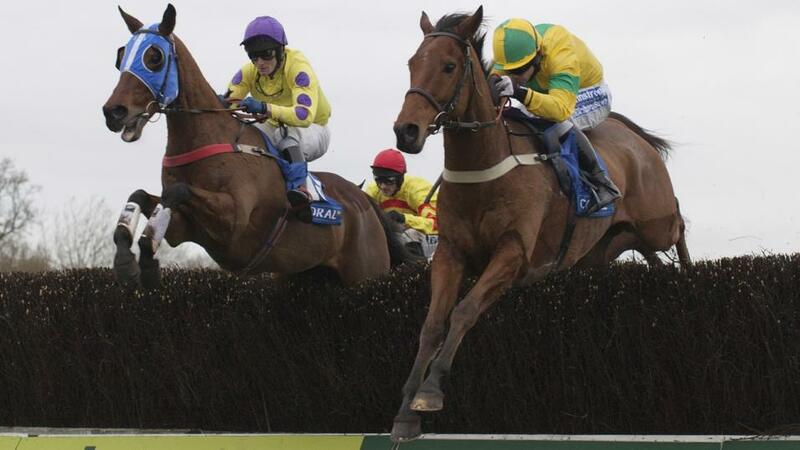 He rounded off last season with a 6-length win at Cheltenham in April, after which he had a wind op. He was predictably well-fancied off just a 4lb higher mark on his reappearance at the same course last month, but he really bumped into one in the shape of a primed Storm Rising, having his first start for Dr Richard Newland and certainly not winning unbacked (and the horse followed up at Wetherby today). He was never going to beat the winner there, but I thought Magic Dancer could have been ridden more prominently that day, and I have to be with him off the same mark here. One negative is the fact that the stable hasn't had a winner since April, but the selection ran well last month, so it is not a deal-breaker for me. Pretty boring I know but I do think Go Conquer could take a lot of stopping as he bids to follow up his win in the race last year in the 15:35. He is well treated off just a 5lb higher mark - he rather lost his confidence after hitting a couple and unseating here in December, but at least he came down 4lb in the weights as a result - and I imagine that new trainer Nigel Twiston-Davies will have him fit and firing here. I always find that trainers are especially keen to shine with new recruits for big owners. Again, I think he is a fair price at around 7/2 and by far the most likely winner but I am going to give the race a miss. He was twice that price and more on Tuesday morning, and there are two or three in here that could try and take him on for the lead. The weather has really hit the Wetherby fields hard (the ground was changed to good, good to firm in places at 14:20 on Friday afternoon) and what promised to be a cracking renewal of the Charlie Hall at 14:40 has now turned into a slightly disappointing heat, if truth be told. We have lost Thistlecrack and Bristol de Mai from the five-day stage, and Gordon Elliott's trio have stayed at home too. In their absence, I am surprised that Double Shuffle isn't favourite, so I am going to put him up as a bet at [3.75] or bigger. Not usually my kind of price, but I will be backing him at 11/4+. I imagine many will view his length second to Might Bite in the King George as something of a fluke, given his runs before and since that run bear no comparison, and his best runs have come right-handed. But the Kempton form is there in the book and if he returns to that level here, then he will take a lot of beating at these weights. Tom George's horses were needing the run pretty badly but they look to have turned a corner in the past week or so, and Double Shuffle has his ground and has a good record when fresh. I don't have any betting interest in the other two ITV races, though Irish Roe and Wholestone would be my token selections there. And they are favourites, too! I have had just the one bet on the Breeders' Cup card on Saturday, and regular readers will not be surprised to hear that the beast in question is Magical in the Turf at 20:36. She may need to be a beast if she is to get the better of a peak-form, dual Arc heroine Enable, but I am more than happy to back her win and place at [8.2] and [2.3], or bigger. I like the fact that Enable takes so much out of the market at around 8/13 on the exchange, as she clearly had a pretty hard race at Longchamp, and there was more than a suggestion that they just got away with it there. I am not sure how much I buy into the fact that she was only 85% straight there after having a slight setback after her Kempton reappearance. But if she did win that race when not at full fitness then it could well have sent her backwards form-wise, not that they seem to be anything but happy with her over at Churchill Downs this week. But John Gosden and Frankie Dettori saw their Derby and Arc winner Golden Horn beaten at 4/6 by Found in this race at Keeneland in 2015, even if ground conditions weren't ideal there, and Magical has a very similar profile to her winning former stablemate. Both were beaten around 5 lengths in the Arc (when both were having their first starts over 1m4f), and hopefully Magical can turn the form around, too. Certainly, the rain on Wednesday and Thursday very much helps on that score - Ryan Moore is adamant she is a "different filly" on soft, though of course we have yet to see how quickly the course dries out- and Magical is clearly unexposed at his trip. I backed and tipped her at a massive price for the Arc but that clearly turned out to be little more than a sighter at the trip from her wide draw, and she looked a more energised filly altogether at Ascot last time, when travelling beautifully throughout and quickly putting the race to bed to beat a couple of high-class fillies in Coronet and Lah Ti Dar. Sure, that form is some way off Enable's best, but I am expecting an improved showing again from a good draw in five on ground with a fair bit of ease in it. I may also consider a place lay of Enable, too, as there is some depth to the race. Andre Fabre saddles last year's winner Talismanic and Arc fourth Waldgeist - the latter would have appreciated the recent deluge more - and sometimes "we" are too dismissive about US middle-distance horses. To that end, Channel Maker, two from two on soft ground and a clear-cut Grade 1 winner last time, is probably underestimated in the market at around the 16/1 mark. But it's Magical, the only 3yo filly in the line-up and with Ryan Moore riding close to his minimum at 8st 7lb, for me once again; good luck if you are getting involved more Stateside than I will be.